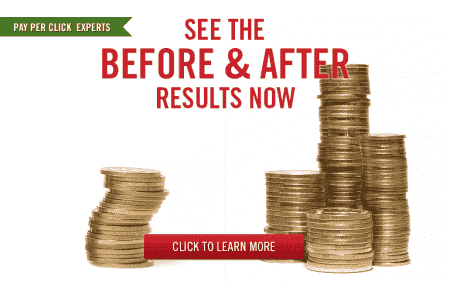 What's Better Than Pay For Performance Google AdWords Management? What’s Even Better Than Pay For Performance Google AdWords Management? I bet pay for performance sounds pretty good when you are being quoted four figure set up fees and minimum management fees of around $1500 per month. A few years ago we offered a pay for performance model where we didn’t charge anything until we increased leads or sales by 25% and decrease cost per conversion by at least 25%. We decided to replace that model with an even better offer. Now we offer a 60 day risk-free trial for AdWords and Bing PPC management. Why is this better than pay for performance? It’s simple-if there is anything at all you don’t like then you don’t owe us for PPC management. Imagine your leads go up 30% but your sales team doesn’t close as many leads as before. Under that scenario with our old pay for performance model you would owe us for PPC management. But under the new model you can decide not to pay us during the risk-free trial for any reason at all. So that’s why we replaced pay for performance with a much better 60 day risk-free trial. Have You Been Burned Before? This new AdWords management pricing model puts a lot more control back in the hands of our customers. Especially since a lot of clients come to us after being burned by several management firms in the past. Everyone is skeptical and they want to make sure that the rubber is going to meet the road with a new partner. How can we afford to make this offer? It’s simple – we’ve been in business for a long time and we are choosy with whom we extend this offer to. We won’t want to waste your time or our time if there isn’t a good fit and we are not confident that we can make a difference. And that is refreshing when everyone else in the industry just wants to close the sale and charge you an expensive setup fee and lock you into a long-term contract. Here at Webrageous we want to earn your trust, then your business, and finally your loyalty. Our highly experienced employees know how to make an account take off. And our sales team knows how to choose clients who have the best chance of being successful.